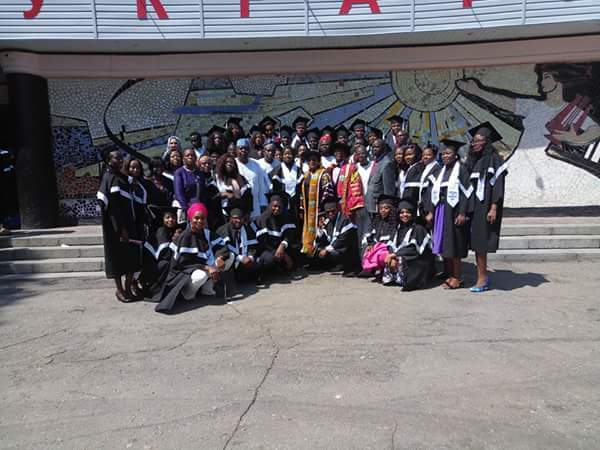 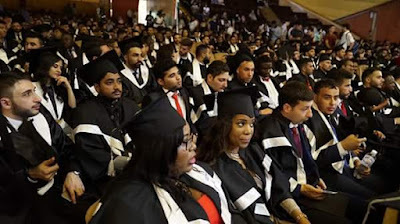 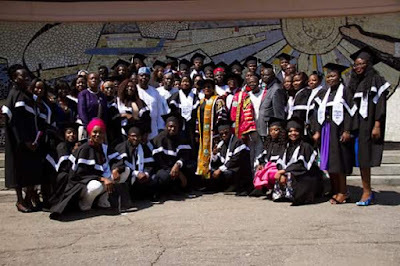 50 OSUN GOVT MEDICAL STUDENTS IN UKRAINE ARE NOW MEDICAL DOCTORS ! 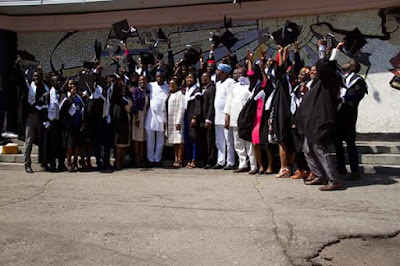 A journey of about 8 years successfully came to an end yesterday for 50 of ‘stranded ‘UNIOSUN medical students who had their medical studies stagnated for over two years as a result of non-availability of a teaching hospital for the Osun State University. 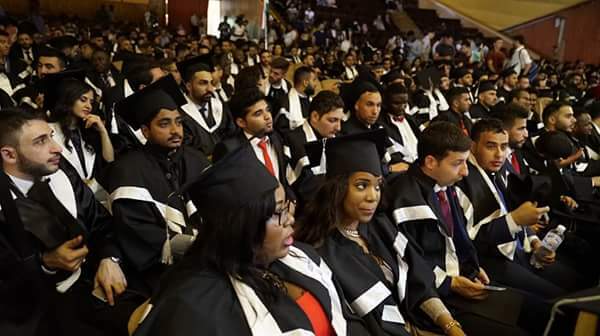 They became medical doctors after a successful medical studies at the V.N. Karazin Kharkiv National University, Ukraine. 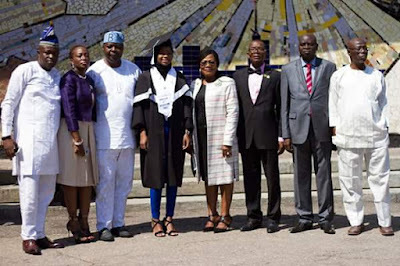 Ogbeni Rauf Aregbesola in 2013 decided to place all those due for clinical courses, that is, all 300 to 500 level medical students about 85 in number on full scholarship to complete their medical studies at the prestigious V. N. Karazin Kharkiv National University, Ukraine after effort to famed them out to other Universities failed . 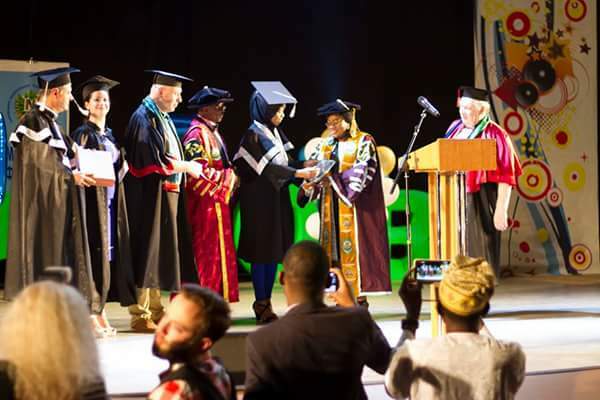 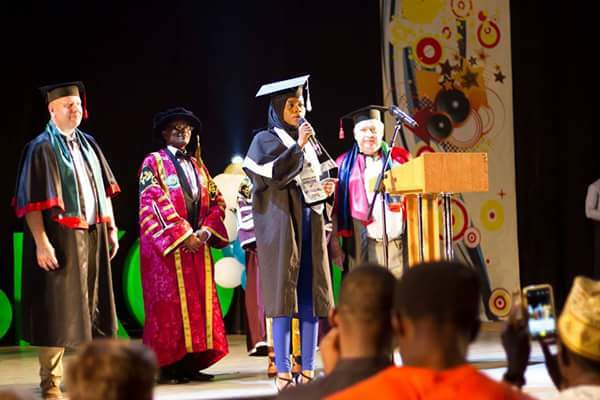 One of the beneficiaries of the Osun Government full sponsorship, Miss Latifat Abiola OYELEYE made African proud as she was announced as the overall best medical student of Karazin Kharkiv National University as well as the 2017 overall best student in the entire Ukraine with an outstanding score of 95.6% n KROK 2 Exams. 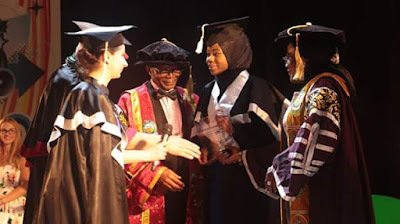 The remaining 32 UNIOSUN Osun Government sponsored medical students will graduate next year . A unique factor of the scholarship for these medical students was that it was not restricted to indigenes of Osun alone but all those due for the clinical studies then . The beneficiaries included students from other states of the federation, including Anambra, Oyo, Kogi, Edo, Lagos, Ogun,Delta, Ekiti and Ondo.